The liver is a vital organ that purifies the blood and synthesises, stores and transforms substances essential to the body; those functions are degraded by fibrosis. Excessive alcohol intake, infection by hepatitis B and C viruses, diabetes, certain drugs, biliary diseases, or haemochromatosis may cause liver fibrosis. This leads to stiffness of liver which hampers its functioning. In later stages liver fibrosis leads to liver cirrhosis. How do we assess for liver fibrosis? Normally, most liver disease patients would require undergoing a liver biopsy to look for liver fibrosis. But liver biopsy involves putting a needle into the liver to take a small piece of the liver for evaluation. However, liver biopsy is invasive and maybe associated with some complications (albeit rare) such as pain at the biopsy site and risk of internal bleeding. Can we look for liver fibrosis non-invasively? Yes, by fibroscan we can assess for live fibrosis non-invasively. Fibroscan is a new instrument developed by Echosens, France, which utilizes a form of ultrasonography to measure the stiffness of the liver without entering it. This makes assessement of severity of liver disease very simple and non-invasive. 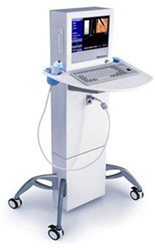 The fibroscan machine uses a probe, similar to an ultrasound probe, which is kept on the right lower chest wall of the patient. Just by pressing a button the ultrasound probe sends a shear wave in to the liver and detects the stiffness of the liver. This data is automatically processed by the on-board computer and the liver stiffness is displayed on the screen. Ten such readings are recorded. Easy to perform, and rapid, the measurement is expressed with a clear figure in kPa. The patient lies on his/her back, right arm raised behind the head. The measurement is made on the right lobe of the liver by intercostal route using a dedicated probe with a vibrating system. The result is delivered at the end of the 10 acquisitions. For which diseases of liver is fibroscan useful? Fibroscan will be useful for all patients suffering from chronic liver diseases such as hepatitis B, hepatitis C, non-alcoholic fatty liver disease, chronic hepatitis and cirrhosis. Use of fibroscan will allow repeated follow up examinations, which earlier would have required repeated liver biopsies. However, there are many conditions which will still require a liver biopsy. In this sense fibroscan will not be totally able to replace a liver biopsy, at least for now. How long does the fibroscan procedure take? The entire procedure lasts less than 10 minutes. How long the patient needs to rest after the fibroscan? 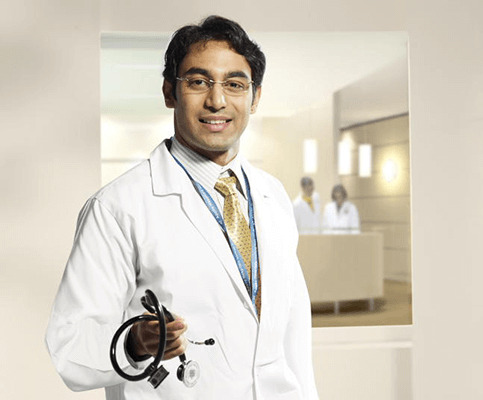 The patient can immediately go back to home or work since there is no pain, no injection, no cutting, no anesthesia required for this procedure.